You don’t have to look far on the internet to find a trend in “natural” or “alternative” headache remedies. Etsy is full of natural headache and migraine relief products like organic balms and essential oil blends. Bloggers have garnered online traction for suggesting remedies ranging from lavender oil to rubbing a banana peel on one’s forehead. Traditional methods like caffeine, prescription medications, or ice packs may be sufficient short term remedies, but are they the healthiest long term solutions? For those who suffer from migraine headaches of high frequency and severity, finding sustainable relief can be incredibly difficult. Side effects of certain medications may be worse than the headaches themselves. It’s difficult to know exactly why certain alternative methods are working, and why others aren’t. It’s possible that less successful headache treatments are only addressing symptoms where successful ones are getting to the root cause. Headache treatment is a complicated endeavor, but calming both body and mind may be the best route to lasting relief. 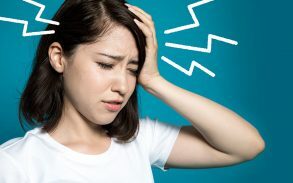 Many readers will be surprised to know that there are well over 100 types of headaches, but most of us have heard of or experienced the most common ones. Tension headaches are the most common, usually manifesting mild, short term pain from muscle tension. Migraines, though typically much more severe than tension headaches, are also very common. Migraines are characterized not only by painful, steady headache frequency and hours-to-days long headaches, but also light over sensitivity, nausea, and even stomach pain. The most severe type of common headaches are cluster headaches, which cause extreme piercing pain and come in “cluster periods” of time. The most common treatments for headaches—especially migraines—are pain medications (sometimes in conjunction with stress therapy, depending on the severity and causes). Rebound headaches are a symptom of this type of treatment, triggered by long term use of medications. They’re also a bit of an indictment on traditional headache treatment methods, as they demonstrate medication’s inability to get to the root cause of headaches and provide lasting relief. Many of our most common headache treatment methods take for granted the connection between the body and the mind. Stress, anxiety, and emotional trauma may all be headache triggers that medications aren’t addressing directly. Some psychotherapists contend that headaches are often caused by the “mind-body connection”, or the biochemical response to psychological and emotional strain. This isn’t to say that headaches are curable by simply “having a positive attitude”, but rather to assert that treating other mental dysfunctions and emotional strains may be much more effective than pharmaceuticals. Some studies indicate that psychotherapy is effective in treating headaches when it’s tailored to the way a patient presents their condition. For some patients, psychological issues are the root cause of their headaches, and need to be actively addressed in order to make a comprehensive treatment plan. For others, psychological issues may not be the root cause of their headaches, but anxiety surrounding their perceived ability to treat their condition may also contribute to headache symptoms. Studies like these also demonstrate a clear connection between stress, anxiety, trauma and headaches. Blogger Indie Cooper-Guzman paints a clear portrait of how treating anxiety and emotional trauma can alleviate headaches. Cooper-Guzman’s cluster headaches led her to the ER on several occasions, where she was given Demerol and Phenergan to stop her episodes. But it wasn’t until Cooper-Guzman and her doctor addressed some painful family issues that she was able to find long-lasting relief and start making a more successful treatment plan for herself. She became more proactive in learning about headaches, which made her feel less anxiety about her illness. Cooper-Guzman still experiences headaches, but she is able to cope with them much more successfully now that her emotional trauma and anxiety don’t contribute. Other patients who suffer from cluster headaches, migraines, or even milder headaches may also find better relief in taking a similar treatment approach. Like Indie Cooper-Guzman, many who suffer from severe headaches will not find full relief in psychotherapy alone. Thankfully, there are a wide variety of natural substances on the market that may provide the relief they’re looking for. Marijuana arguably has more potential to treat headaches than other natural substance. Despite the legal barriers preventing more extensive research, cannabis has been broadly successful as a therapeutic agent to both the body and the brain. For many Americans, marijuana has been a natural, viable substitute for chronic pain, anxiety, depression, arthritis, and headache medications. If you don’t live in an area where cannabis is accessible, cannabidiol (CBD) oil may be a perfectly viable headache treatment option as well. CBD is the non-psychoactive component of cannabis that interacts with the body’s natural cannabinoid receptors for a wide variety of therapeutic results. If your headaches are stress or anxiety related, CBD may be able to regulate stress related areas of the brain. CBD oil may also be able to treat headaches by providing pain relief through the endocannabinoid system. For more information on CBD treatment, read Everything You Need to Know About Getting Rid of Your Headache with Cannabis and CBD. For those who don’t have access, or simply have reservations about cannabis products, other natural remedies may help alleviate headaches through the body/mind connection. Meditative practices and breathing exercises are always a healthy option. Youtube is full of popular relaxation technique videos designed to alleviate headache pain. As with other natural remedies, a headache-minded diet may not be enough to completely alleviate headaches, but it certainly won’t make headaches worse. Outside the challenges of extreme dietary restrictions, anyone with severe headaches or migraines has virtually nothing to lose in changing their diet. Replacing prescription medications may not be possible for everyone. It’s always important to consult a physician before making any drastic changes to a treatment plan. 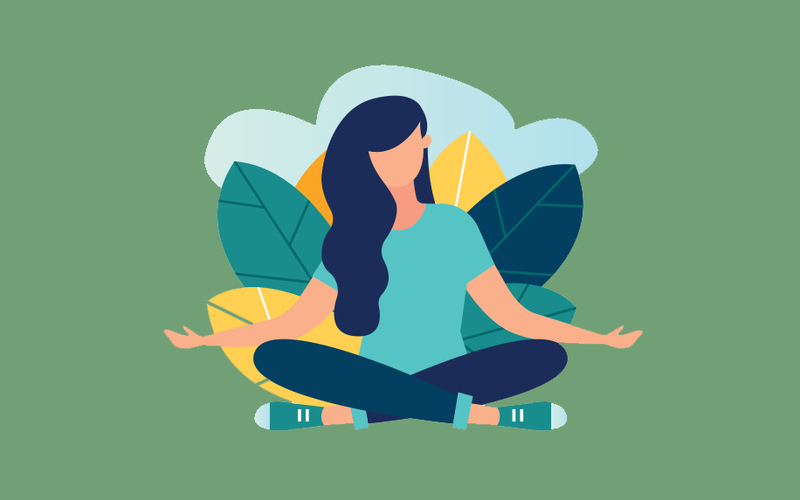 For those who can make the change, a combination of natural substances and psychotherapeutic may be just the thing to connect body and mind, and alleviate headaches in the process.